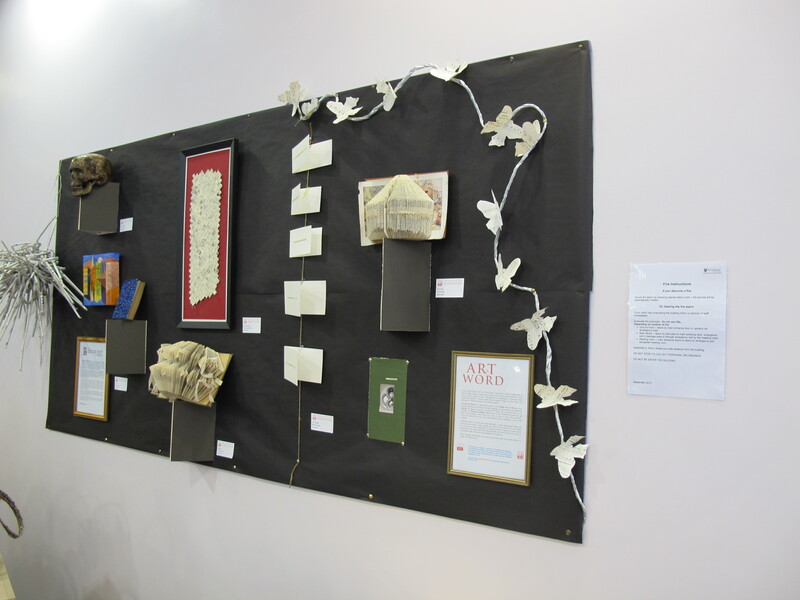 Inside Out and the Word at Oswestry Library – some pics of a great display – thank you John! Managed to see the ART & THE WORD display in Oswestry Library today. Looks great. 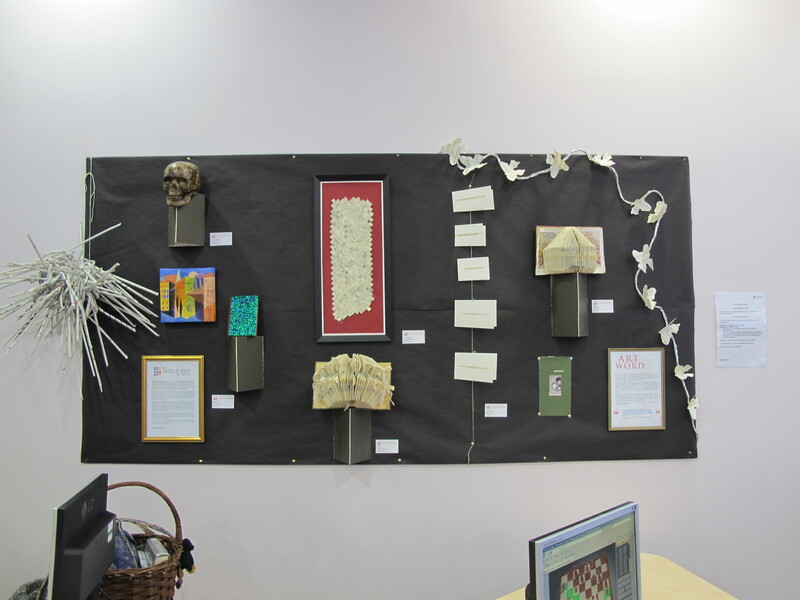 An eclectic collection of works celebrating ART & THE WORD and our fun day at the Library for National Libraries Day. Please read John’s recent post about Monthly artist residencies at the Library. It certainly attracts me (Diana) – could be something akin to an oasis of calm doing something linked with books every so often in this community hub. Looking forward to it.